CHUG | Three Weeks Left to Register! Don't Miss Out on CHUG Fall 2017! Three Weeks Left to Register! Don’t Miss Out on CHUG Fall 2017! The conference agenda consists of OVER 70 educational sessions – presented by Centricity users, CHUG sponsors, and GE Healthcare! Earn up to 11.0 Nursing Education Credits at CHUG Fall 2017! At CHUG, you’ll be able to earn up to 11.0 contact hours. Activity Numbers: 1214 Working with Southern NH AHEC, an Approved Provider of continuing nursing education by the Northeast Multistate Division (NE-MSD), an accredited approver of continuing nursing education by the American Nurses Credentialing Center’s Commission on Accreditation, CHUG is excited to be able to offer this additional educational opportunity to our membership. Come early and attend a pre-conference class! Provider-Directed Design for CPOE Assessment & Plan with Clinical Decision Support; Making EHR Use Easier! Click here to get more information about pre-conference classes. Here are more great education and networking opportunities being offered at this year’s conference! Problem selection and association during Order entry and review. Use a clickable prototype and complete an order workflow. Target Audience: Providers (Physicians and clinical staff who sign orders). Propensity to Pay Advisor employs a model to score accounts based on their likelihood to pay. The solution will help Provider organization by reducing administrative write-off, bad debt and improving. Design to work with all REV cycle systems. Target Audience: Billing Office, Front Desk Staff, Office Manager, or any end user interacting with Patients or Office staff working on Patient collection. Identify current Drug Interaction Check set-up, pain-points and opportunities to improve upon. Northstar patient registration workflow. Quick registration based on workflow automation. ​Payer Insight is a product that enables providers to close Dx gaps and Care Gaps for MA, Medicaid and PPACA members, in the work flow. The goal of the session is to review screens, gather feedback for any improvements for production use. ​Target Audience: ​Clinicians (Physicians, Physician Assistant, NPs) Office Managers. Specifically, clinicians/office with the following specialties: Internal Medicine, Family Medicine, Geriatrics, and Pediatrics. https://www.centricityusers.com/wp-content/uploads/2017/07/Fall-2017-Blog-Header.jpg 245 725 julie_e https://centricityusers.com/wp-content/uploads/2014/06/new_chug_logo.png julie_e2017-10-05 23:40:192017-10-09 14:41:39Three Weeks Left to Register! Don't Miss Out on CHUG Fall 2017! 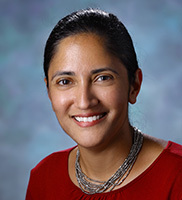 Meet Our Keynote Speaker: Dr. Kavita Patel “Pass a Good Time” at CHUG Fall 2017!